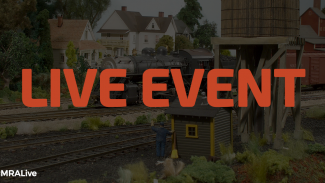 The MRA team of Doug Hodgdon and Steve Doyle (“Clickety and Clack”) hosted the May Track Talk Live at Steve’s “CB&Q/Lines East” S-Scale layout. Viewers representing virtually all of the scales submitted live questions from across North America. Among them, the crew discussed troubleshooting faulty locomotives, DCC-running versus DC, inspiration for layout aspects, tree-making and coloring brick. They’ll hit the rails again at the end of June, so get your questions ready!